Quite a reward for the effort and hard work of each of the team members which saw them, along with Jorge, occupy two places in the TOP TEN of this bike ride amongst participating riders who had arrived on the island from various different countries. Congratulations also to the first and second place in this exciting running of the Mallorca 312: brothers Dominic and Daniel Aigne. Along with the excitement of the race, at our Goldcar tent we have enjoyed two days of fun activities to celebrate this great event such as it deserves. Participants have been measured with a special bike to generate watts of energy. 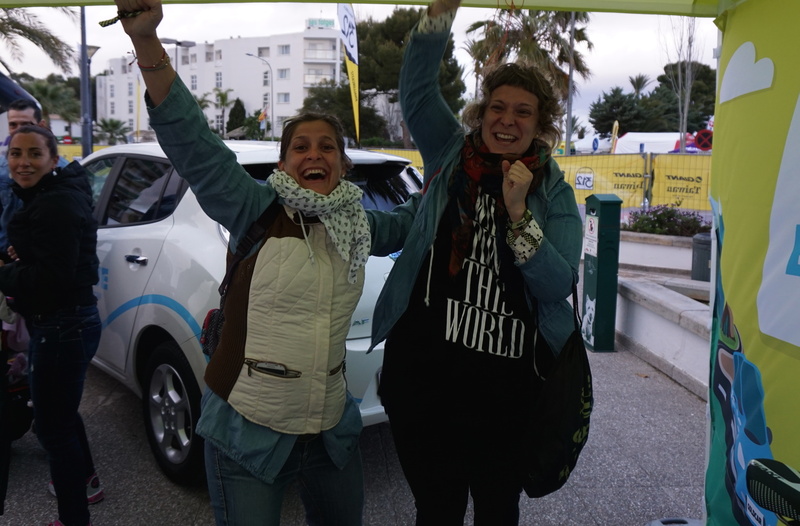 An initiative linked to our Goldcar Blue division focused on driving electric cars and other sustainable vehicles. Among all participants who have pedaled hard came the winner of a Giant bike. The top three in the ranking took a Goldcar special gift, consisting of professional training equipment of helmet and socks. Alongside this initiative our tent has provided the opportunity to demonstrate driving skills using different racing simulators. A fun time and an escape following many hours of harsh and intense training. 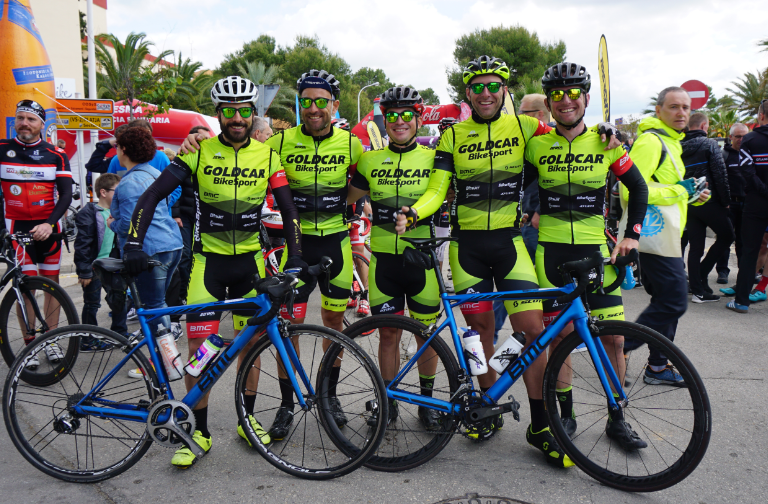 In addition, participants and visitors of this Mallorca 312 have received our special kits; some clothes in the Goldcar colours, perfect to get rolling and soon ready to buy online at the Goldcar website. Two great days when the bike has been the protagonist. Mallorca 312 could not be more exciting. 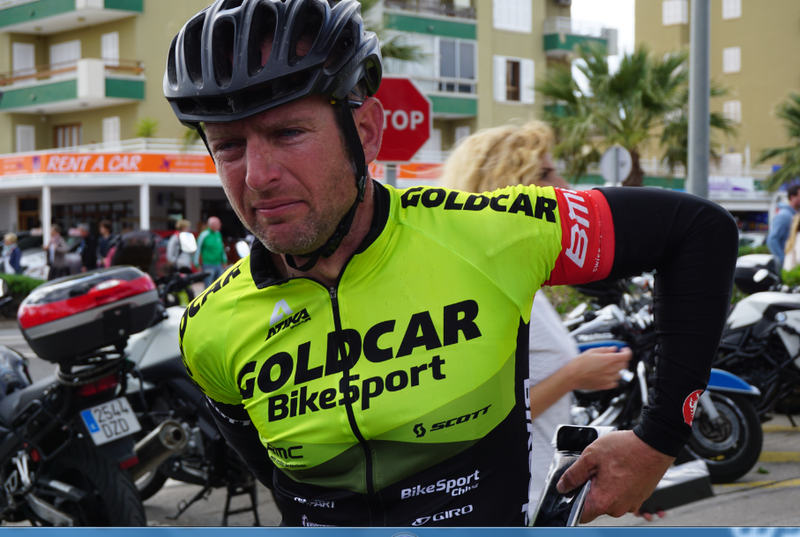 Goldcar bike sport team was present and Jorge Alarcon took the third place. Cogratulations!